Two Penn Central Geeps (nos. 7332 and 5793) on the former Pennsylvania's Erie & Ashtabula Branch are about to roll beneath the Liberty Street bridge in Girard, Ohio. 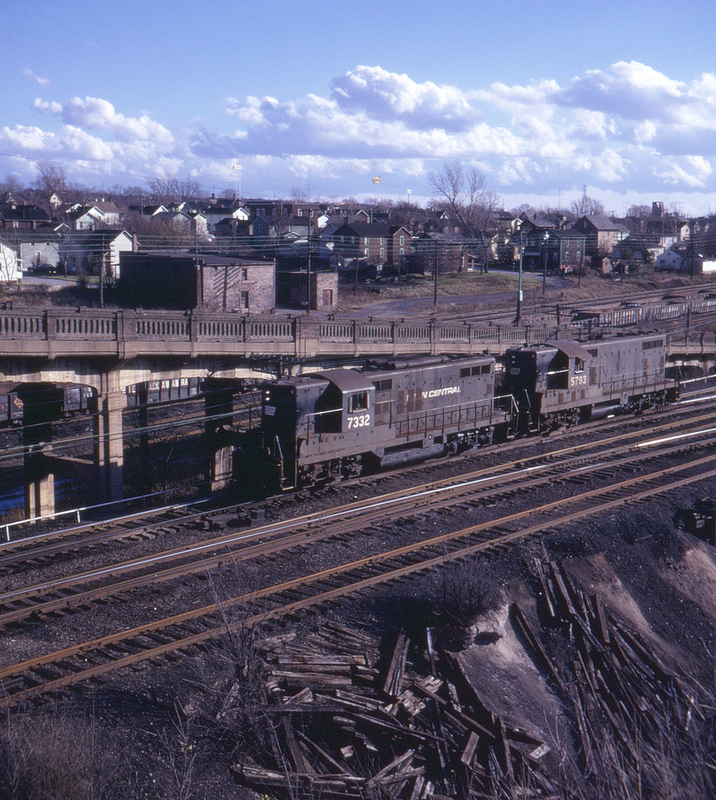 The Erie's Cleveland & Mahoning mainline is visible behind the ramp, with the Youngstown suburb of Girard in the background.